According to the Transactional Records Access Clearinghouse (TRAC), as of July 2018, U.S. immigration courts had a pending caseload of 746,049 cases. 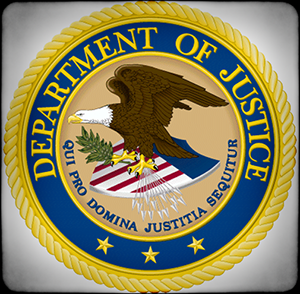 The Department of Justice (DOJ) is taking steps to lower the number of pending cases by hiring a massive number of new immigration judges. On September 10, 2018, Attorney General Jeff Sessions addressed the largest class of new immigration judges ever, 44 in total. This follows up on his promise in April 2017 to hire 125 new immigration judges within two years, and was coupled with a vow to increase the number of immigration judges who had been hearing cases at the beginning of the Trump administration by 50 percent. There are, simply put, too few judges (and complementary staff) to adequately do the job. With the swearing-in of 11 new IJs in June 2017, there are 326 so-called "adjudicator" IJs, including assistant chief IJs in the field who hear some cases. According to [TRAC] at Syracuse University, through May 2017, there were 598,943 pending cases in the nation's immigration courts. This means that there are approximately 1,837 pending cases per IJ. GAO determined that the average IJ completed 807 cases in FY 2015. Therefore, even if no new cases were filed, it would take the immigration courts more than two years to complete their pending cases. As of July 2018, there were approximately 330 immigration judges in the nation's 58 immigration courts, according to the Executive Office for Immigration Review (EOIR), the DOJ component with jurisdiction over those courts. This number has ebbed and flowed over the past two years as new judges were hired, and others retired. Increasing the immigration judge corps by almost 12 percent provides a huge boost to the overworked immigration judges who are hearing cases, and provides surge capacity in the event of future influxes of aliens entering the United States illegally. That said, it will take time before the full impact of the 44 new judges will be felt on the backlog. New immigration judges generally start with more limited dockets to give them the opportunity to get up to speed on the requirements of the job. Most decisions issued by immigration judges are delivered orally, for example, and it takes time for a new immigration judge to assemble the skills needed to do so in a timely manner. It also takes time for a new immigration judge to learn how to control the parties in his or her courtroom. Attorneys will often test the limits of new judges to determine how to obtain the best outcome for any individual client. Most immigration courts also require a thorough knowledge of the law and court procedures, because the issues that arise are not always foreseeable, and cannot be prepared for in advance. All of that said, however, more resources are better than fewer, and new judges are better than no judges at all. The attorney general's hiring effort joins his recent decisions on review that are aimed at clarifying the standards for potential asylum claims, streamlining immigration adjudications, and curbing continuances in immigration court. With each of these actions, the attorney general is closer to achieving his goal of bringing down case completion times, and achieving a just result in each case that is heard.